First..my day job (aka, how I support my fiber habits) has been sooooo busy! A good kinda busy, but whew. Need a break. I missed a few good blogging moments, but I am making up for it with this. The Tale of the Outrageous Cowl. 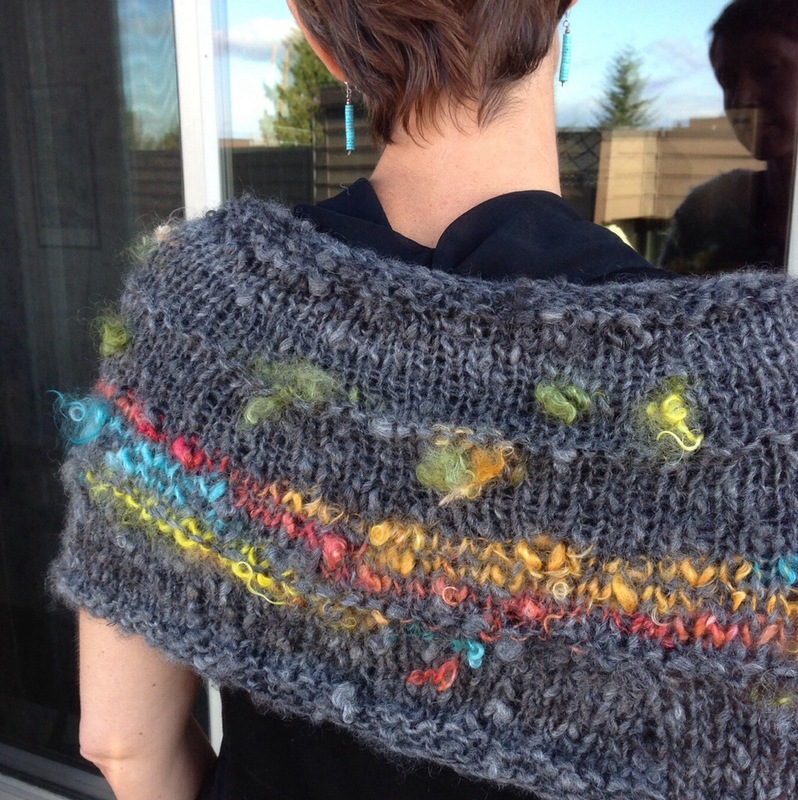 And decided I wanted a simple (in design) warm, statement piece that could double as a shrug or a cowl. 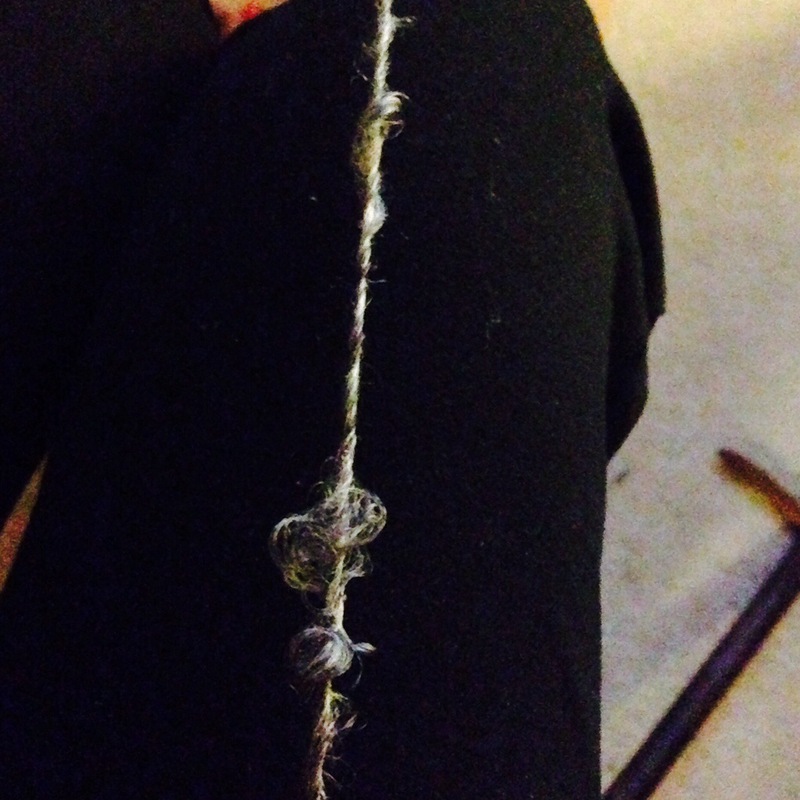 Gotta admit, while I was knitting it I thought it might be a little much…but once I put it on I was hooked!! Easy pattern. I will write it up and post it if anyone is interested!! 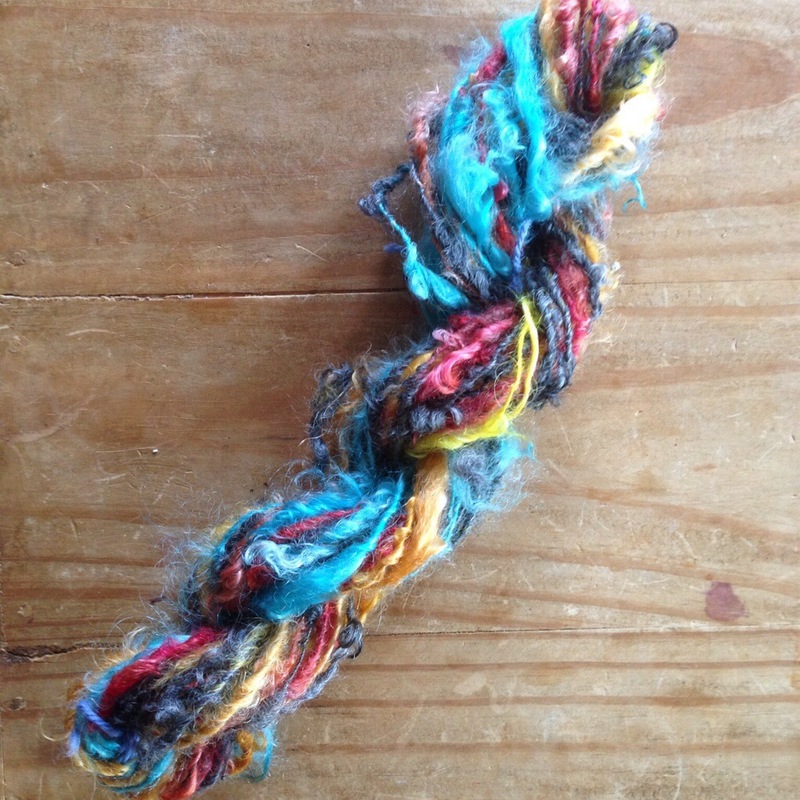 This entry was posted in art yarn, Fleece Processing, knitting, Spinning, Yarn as art and tagged art yarn, fleece preparation, handknit, handspun, mohair locks, tailspin by Leah. Bookmark the permalink. I love this funky yarn blending in with the grey, definitely something worth experimenting with. Thanks! I appreciate it coming from such a color guru!! I love everything about it. You absolutely should write it up. 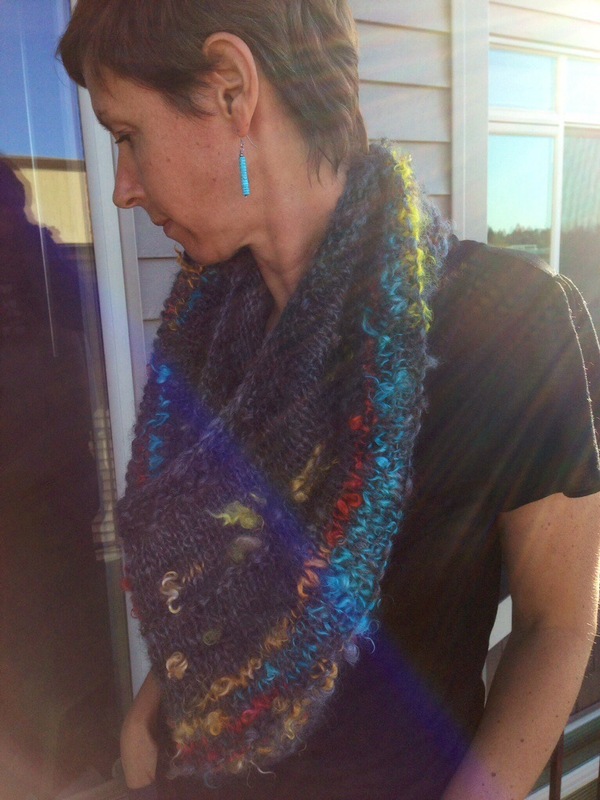 Do you sell your hand spun yarns? Great look. Thanks so much!! I haven’t done any pattern writing yet, so this might be a fun way to get started. I am going to start selling my handspun yarn soon..I love creating yarn as much as knitted objects. I will!!! Thanks..what a compliment! You were one of the major voices of encouragement that pushed me over the edge. I launched my Etsy site this weekend!!! I have a few handspun skeins posted! Thank you so much for the support…I needed that to get it going! awesomeness! I will be on the lookout for the pattern 😀 You rock girlfriend! Whoo! Thanks for your encouragement! Thank you so much for the nomination! What a compliment!! Congratulations on your Etsy store. That is Awesome. I can’t wait to see your yarns. What is your Etsy store name? Thanks!!! I’m just getting started, so there’s only a few right now. “Seattlespinner” as one word. There’s a link on the menu bar of my blog too..